NintenGen: Metroid Prime 3 controls all fixed? Metroid Prime 3 controls all fixed? Game on posted this and I'm still waiting for a link to the magazine this is from, but after reading this (if true) it seems that we have nothing to worry about with MP3's controls. We will be able to look all around the screen without having to worry about an invisible square that we have to stay in if we want to aim. Now it will be like a PC FPS but only better because the game will make use of both Wii controllers in ways the PC can't do. Can't wait to try it out. This is definitely good news. 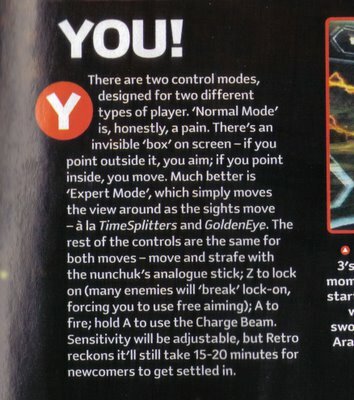 I just hope they include a way to move your aiming reticlue without moving your viewpoint. They could make a "aim" button that you hold down, like one of the trigger buttons. That way you could stay still and just have Samus's cannon moving all around. The first control scheme Retro had tried to do two things at once, when you need to just focus on one thing at a time. 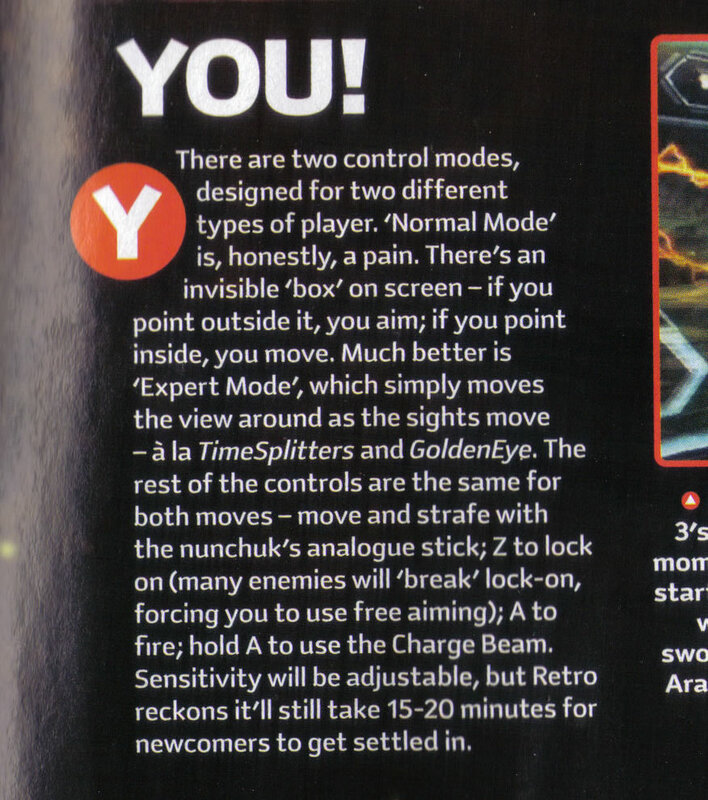 I really like the new "expert" control they are putting into it. Can't wait!